The back types are identical. 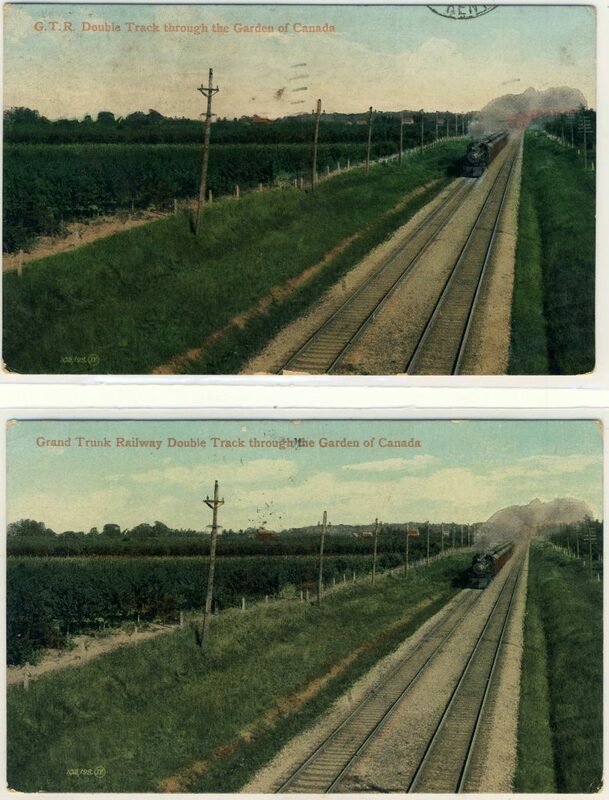 “Grand Trunk Railway” appears (on the basis of a pretty murky postmark) to have been posted on 19 February 1907, while “G.T.R.” was posted on 3 May 1908. But that’s neither here nor there. The odd thing is that the cards are different in a second way that is harder to spot at first. It’s the images: they are identical EXCEPT for the sky. The clouds on version 1 are completely different from the clouds on version 2! Of course, the skies on these early lithographs were entirely fake to begin with, because they usually reproduced as completely blank areas, necessitating the subterfuge of “hand colouring” in which clouds were added to the artist’s taste. 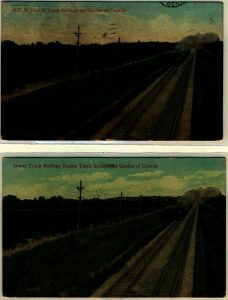 But that doesn’t explain why the skies would be different between two printings, when everything else in the image, including all the rest of the applied colouring, is identical. Or does it? 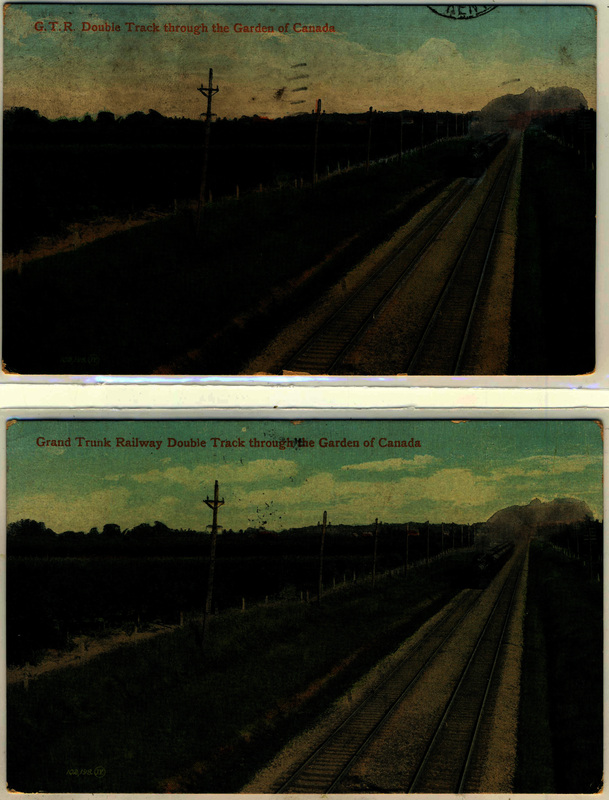 Is there a reason that the sky would have been coloured separately on the occasions of each printing? Any thoughts? Anyone have similar examples of Valentine & Sons cards — or cards by anyone, really — that are the same except for the sky (setting aside variations in the caption)? Error: Error validating access token: Session has expired on Friday, 12-Apr-19 20:21:58 PDT. The current time is Tuesday, 23-Apr-19 20:56:49 PDT.